Sometimes the money you collect at the end of the day and the amount guests actually pay have a huge difference. Why? Mistakes, or in worse case, dishonest employees. We help you to mitigate such losses by providing smart lock system and electricity integration to help align guest stay with check in and check out time in the PMS, and manage all the purchased items with POS connected. ezCloudhotel is packed with value-adding features to help you run your property easily. All your distribution channels will be taken care by our channel manager. Boost your revenue by 35% without any worry of overbooking, and reduce workload by 40% compared to the use of documents or excel, all thanks to the live synchronization of our room-selling system. An easy tool to drive your guest loyalty and satisfaction. This module is proven to significantly increase the rate of services and facility utilization in your property: Send booking confirmation email, happy birthday email, property service advertisements and so much more in just a few clicks. Up-selling and managing your Minibars can never be easier: Keep track of every transaction on-the-go with mobile app notification; Ultimate losses control with changelog reporting deleted items & other staffs activities. An easy-to-use feature that you can get your staff selling goods & services in no time. ezCloudhotel is the best and easiest-to-use software in this price range. The pricing mechanism is suitable with Homestay owned by young hoteliers like us. With the ezCms module that allows connect and sell rooms globally, we can save time and boost room capacity considerably. The support team is very enthusiastic to help and quickly respond to our questions and difficulties. Special thanks to the support team! We used to find many software before deciding to use ezCloudhotel. Only ezCloudhotel can satisfy our hotel pricing mechanism with the function that rates by hour, by night, by day, by month and smart administration report system. Two distinctive points that help ezCloudhotel to be more out-standing than other software are smart lock integration and hotel chain management. Just imagine that while playing tennis I can still manage 4 hotels, there have been no such convenient management. ezCloudhotel has helped us the most in the time-saving and stress-reduction in hotel operation. We had faced plentiful issues before ezCloudhotel helped us solve all those problems. We used to manage online channels one by one and always worry about overbooking. Solving booking was also such a pain. In fact, the software quality is much more amazing compared to the price we have paid. With ezCloudhotel, my tasks are much easier. With the specifics of hostel business in the old quarter, we need a management software system that is able to connect online with global room sales – OTAs, to do email marketing for immediate booking confirmation, to offer mobile application that allows open and stop room sales via smartphone. Having known ezCloudhotel, we are really impressed that you innovated a system responds to our requests completely. Support team always listens to the my every needs and timely provides updates regarding customers’ requirements. 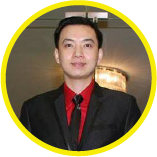 I am a Vietnamese expatriate participates in investing in a hotel at Phu Quoc. Having the need of regularly travelling, I need an online software connecting to the hardware devices in the hotel to control losses. ezCloudhotel is the first online property management system I know that can integrate smart lock. Such integration provides us a reliable management tool. The online support system is quite stable, thus, I believe ezCloudhotel will help our business performance become better.